There’s another superhero reboot coming soon. According to The Hollywood Reporter, Legendary Pictures has acquired the film rights to The Toxic Avenger. The studio plans to produce a full franchise based on the film. Troma Pictures released the original movie, and it was directed by Lloyd Kaufman and Micheal Herz. The Toxic Avenger, a.k.a. Toxie, doubles as the Troma Pictures mascot. The movie follows Melvin, a hapless janitor who was dropped into a vat of toxic waste by a group of bullies. That ordeal transformed Melvin into a radioactive monster, and he used his new abilities to fight crime. As the Toxic Avenger, Melvin battled corrupt cops, drug dealers, and human traffickers. The original film spawned three sequels and a short-lived cartoon called The Toxic Crusaders. The last film, Citizen Toxie: The Toxic Avenger IV, hit theaters in 2000. Kaufman and Herz will oversee the franchise for Legendary Pictures. However, the studio hasn’t named a writer or a director for the reboot. 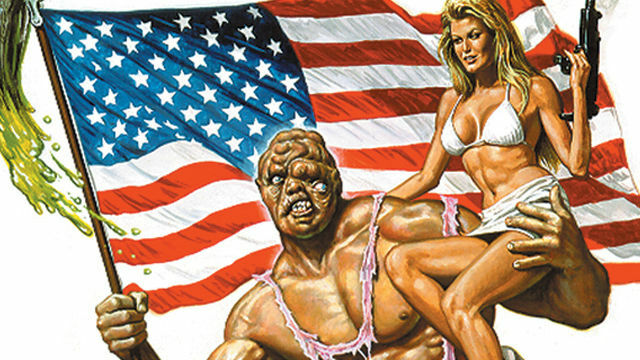 The Toxic Avenger‘s raunchy tone and subject matter made Troma a legend in the independent film industry. Kaufman has gone on to make cameo appearances in several indie projects. Kaufman has also supported notable filmmakers, including Guardians of the Galaxy helmer, James Gunn. In addition to The Toxic Avenger, Legendary has also acquired the rights to an untitled super villain heist film from director Chris Baugh. Additionally, Legendary is releasing Godzilla: King of the Monsters and the Detective Pikachu movie in 2019. Are you eager to see a big budget reboot of The Toxic Avenger? Share your thoughts in the comments below!